We all love watching television and usually do it at least for a few minutes or hours a day. As the years progressed, televisions went from a few inches of black and white to huge televisions with the highest color and contrast that one could ever imagine. As the years went on also, the resolutions changed, which brings us to 1080i vs. 1080p/ 1080 is the resolution size and I stands for interlaced and the P stands for progressive. Interlaced is an older version which is a little slower while progressive is fairly newer and faster. The resolution of the television determines how it looks on the screen as well as how wide it is and how clear it is. With the 1080 being the most recent it is the best resolution that you can get in today’s world. Both of these offer the same resolution, however, they display differently. While one may display faster or slower they will both display in the same distance, no matter what. The I and P represent different things, and those things are how the picture is displayed on your television. It may be hard for some people to notice, but the color and the time it takes to display the picture is different. Interlaced pictures are done by the odd numbers appearing first and then the even numbers appearing after. This can cause a little glitch in the picture or a notice of flickering as the picture comes on. The progressive televisions however are done sequentially which brings the whole picture on at once. 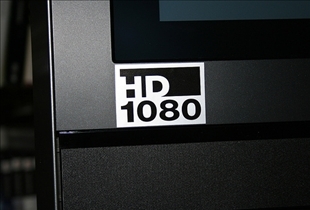 The 1080p is displayed much faster allowing for nothing to be missed as colors change on the television from one moment to the next. The bottom line is a difficult one because virtually many people can’t notice the difference enough for it to truly matter which one is purchased. However one key factor that usually determines the final decision is the price. The price is a huge factor and the 1080i comes at a cheaper price then any 1080p’s. You generally will have to pay at least $1,000 for a switch from 1080i to 1080p. This is a huge price jump but unfortunately the 1080i is still known as the standard television. Just as well, computers can’t always be fully visible on a 1080p, thus defeating the purpose of putting your computer on the television. Although the 1080i and the 1080p display the pictures differently it is hard for many people to notice the difference. A 1080p costs a great deal more than a 1080i and for many it’s not worth the switch. However, although more expensive for those who worry about style and material objects, the 1080p is definitely worth the money. Both offer the same resolution size and are both the highest resolution that you can go. 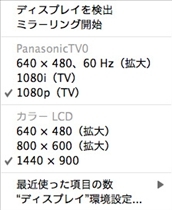 If you are going for a huge screen like a 60” then I would upgrade to the 1080p for the best quality.